Creating a startup offers promise for generating revenue that can lead to big profits down the road. Most think that the only way to start a business is to build a product from ground up — layout the blueprint, make your first hire and build from there. This isn't the only way to start a company, especially if you want to become an entrepreneur but don't have a concrete business idea or maybe you feel that age isn't on your side. Related: If You Have a Great Business Idea, Who Ya Gonna Call? Hint: Not a VC. I present to you six ways to become an entrepreneur, without starting a company from scratch. 1. Buy an existing business. One of the best ways to invest in a startup is to buy one that is already in business. When you buy an existing business, you can reduce your risk since the business model has already been proven. There are tons of ways you can buy existing businesses, including via a platform, such as Flippa and BizBuySell. For example, Flippa offers a way for buyers and sellers to meet and conduct business sale transactions for websites. As one of the largest marketplaces for buying and selling online businesses, Flippa facilitates the buying process as an auction-style platform where you can bid on an ecommerce business. These businesses are typically established and already have the traffic and revenue to support a viable business that you can later develop and scale. BizBuySell offers a way for you to buy existing businesses but requires an application to join its membership. Whichever option you choose, just make sure to research the company, understand why the business is being sold and whether it fits your business and financial goals. 2. Offer your services for equity. Do you have any unique skills that a startup can benefit from? Are you a lawyer, accountant or marketing pro? List all the skills you can offer a startup to can help them build a better business and be crucial in their journey. The next step would be to find startups that lack that specific skillset and offer it to them in exchange for equity. Professionals are known to get up to 20-40 percent in equity, depending on the current stage of the company. The earlier the stage, the larger share you could get. If you've got a unique insight into growing a company using a marketing strategy you're really good at, use that as your pitch to a startup that is primarily run by engineers who don't yet have a marketing professional on their team. You can also buy a stake in the company by investing cold hard cash. Just remember to do your research on the company and understand how the equity allocation works. For instance, a new startup may offer equity equivalent to how much you contributed. That means if you contributed $ 25,000 in a startup with a $ 200,000 valuation, and the other investor contributes $ 50,000 while the owner contributes $ 125,000, you can expect a 12.5 percent stake in the company while the other investors have a much larger stake in the company. If the startup is more established, the stake may not reflect cash contributions. This can get more complex, so refer to an expert in valuations. Although, when investing in a company, you can also bring value — your expertise — more than just cash. This can fetch you a larger equity than what cash infusion would bring. 4. Invest via equity crowdfunding. You can reduce your risk of funding a startup while still owning a piece of the company by investing in equity crowdfunding. With equity crowdfunding, startups are able to raise the capital they need to fund their business. The advantage of this is that it distributes the risk across several investors since the amount of the investment is typically small. You can get into equity crowdfunding to be a part of a startup via social media or equity crowdfunding platforms. For instance, you can use popular equity crowdfunding platforms, such as SeedInvest or Indegogo, to invest in a startup. If you have the funds, you can invest in a startup as an angel investor and bring your expertise to become a cofounder. Investing in a startup as an angel investor often comes with high returns as you're typically one of the first in line to receive a return on profit. However, it's still important to understand the risks involved, such as loss of your investment. To make it worthwhile, you should be making more than $ 200,000 a year and have at least $ 1 million net worth. You can get into angel investing by working with a broker or brokerage company that can get you in contact with viable startups. Just remember to diversify your portfolio by investing in multiple startups to reduce your risks. 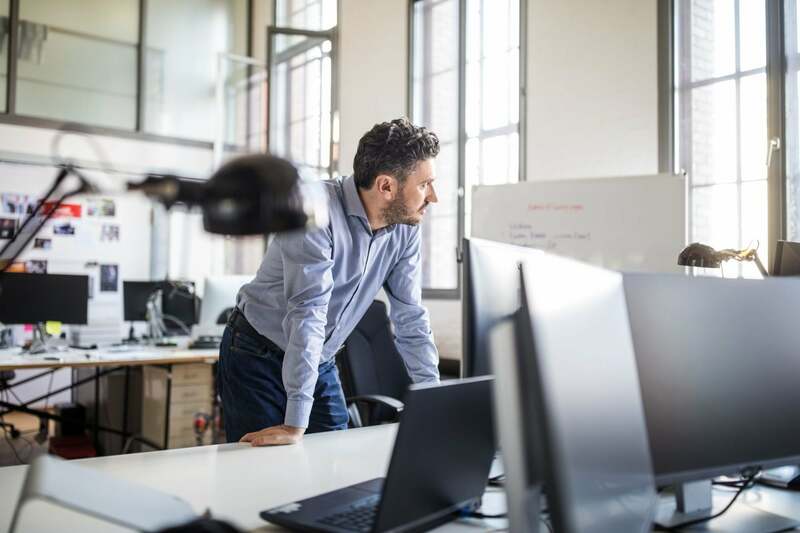 If you get into a startup early enough, you can purchase preferred stock without needing to manage or create your own company. As an outside investor, you may get special privileges, such as voting rights in the event of the sale of the startup. If you're already part of a corporation, you may find this option more valuable as it typically means up to 70 percent of the investment is tax-free. You can buy preferred stock if you are already working within the startup via a brokerage firm similar to how you would purchase common stock.